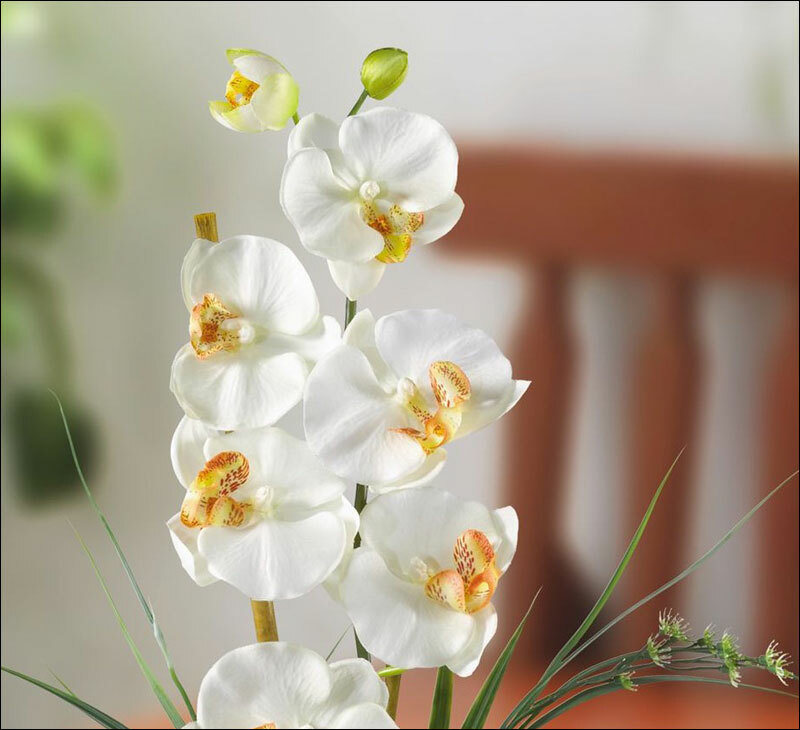 Bursting with color and personality this beautiful silk flower arrangement features the Phalaenopsis orchid which is perhaps the most popular variety of all the orchids. 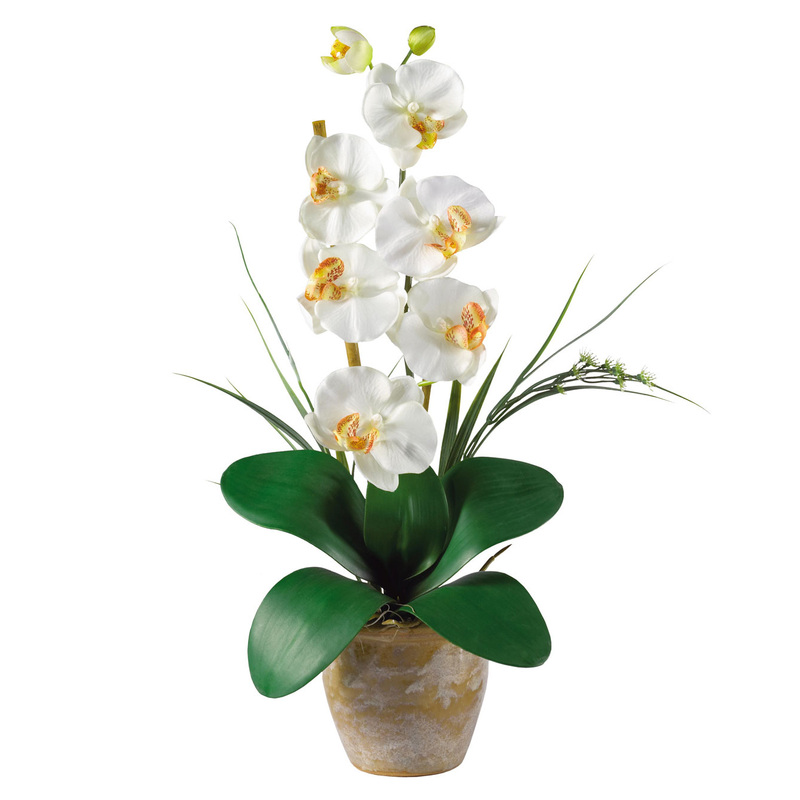 It features six lively blooms and two buds complimented by genuine bamboo, which enhances this silk orchid floral arrangements authenticity. 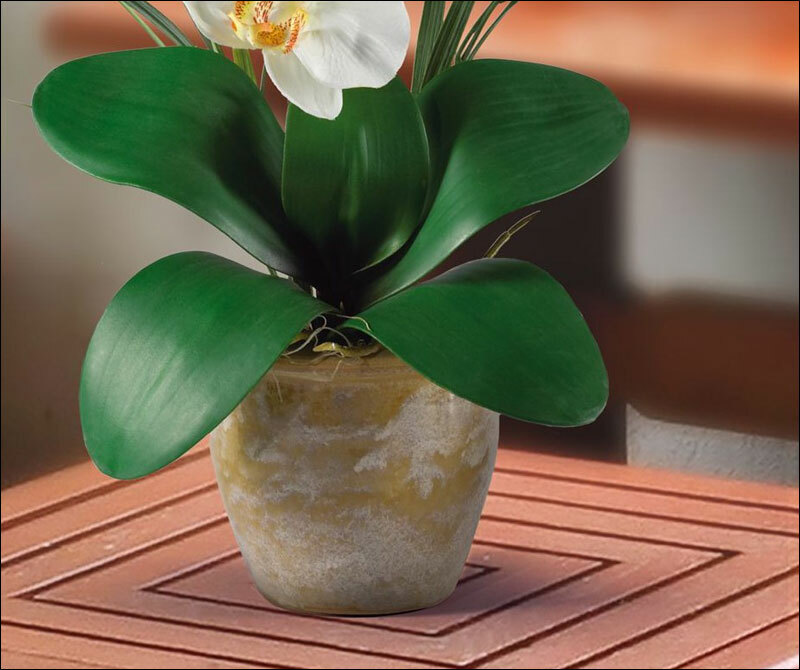 Featuring nearly natural leaves, moss and roots, this familiar favorite is sure to charm the masses. Available in 8 beautiful colors. Pot - H: 4.25", W: 5.25"